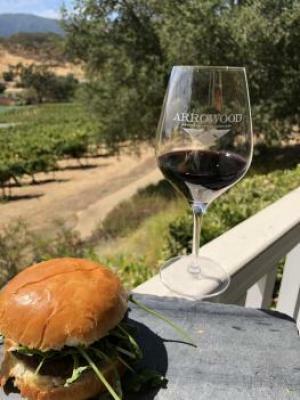 It is the best time of the year to enjoy the Arrowood Veranda and Team Arrowood is toasting to the end of summer by cooking up one of our favorite Prime Pairings burger recipes, the Lamb Burger. 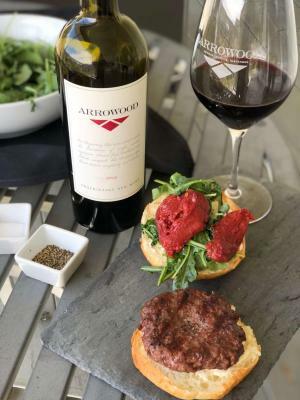 Expertly paired, winemaker Kristina Shideler’s Proprietary Red has the bold fruit and spice to contrast the savory flavors from this recipe. Grill hot check, burgers ready check, tomatoes roasted check. Of course, we wouldn’t forget the wine! Preheat oven to 350°F. Put the olive oil, herbs, and garlic in the bottom of a baking dish large enough to fit the tomatoes in one layer. Then lay in tomatoes and season with salt and pepper. Once the oven is hot, turn it off completely, and place the tomatoes over or near the pilot light. Baste every 30 minutes until they have shriveled and no longer plump. This step takes at least two hours but can be left in the oven overnight as long as it is off. To make the mayonnaise, add the eggs with 1 tsp salt to blender or food processor. Mix on low, scraping down sides if necessary, until completely combined. With the machine running, slowly drizzle in the oil, adding the ice water about half way to keep sauce from breaking. Keep cool. 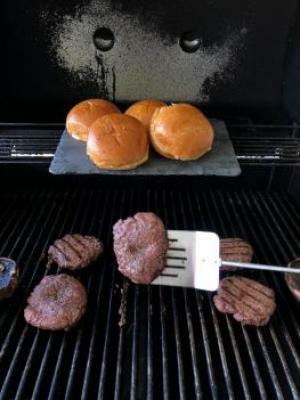 Season the patties with kosher salt, and grill on each side until desired doneness. We recommend medium (160°F internal temperature). Let rest for five minutes after cooking. 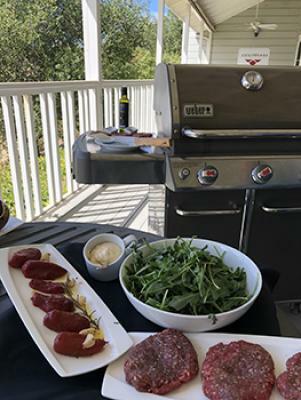 To assemble, spread cumin mayonnaise on both bun halves, followed by arugula, lamb patty, and confit tomato. 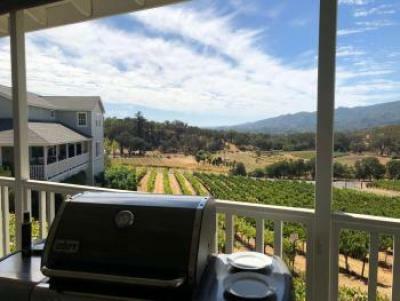 This burger also holds up well the Knights Valley Cabernet Sauvignon, especially given its herbal qualities. 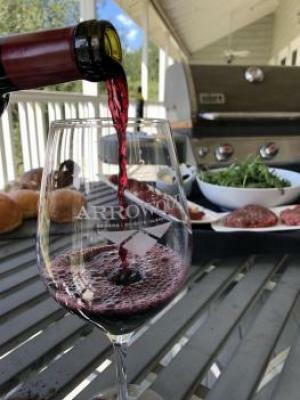 The rich tomato flavor helps to intensify the long, red fruit finish of the wine. The cumin is there, but very subtle. The arugula adds a peppery note that is often found in many Cabernets.